An enigmatic book with a puzzling title, Prayer and Parable explores the lives and thoughts of ordinary people with the assumption that we might learn something from their interactions and the spiritual implications of those interactions. The 28 stories here deal with the intimate, the personal, the simple, the sometimes unrealistic, and the ordinary people that we know (and sometimes are). One major challenge regarding the book lies in the title. What is a prayer? What is a parable? Take the easy one first: Define a parable. Those familiar with the New Testament will find that the parables of Jesus come to mind. These short sayings deal with familiar situations and make a spiritual application. For example, the parable of the sower is found in Matthew, Mark, and Luke. The story deals with a common activity: the planting of a crop. The outcomes of the acts of planting and sowing are analogized with the types of people who hear God’s word and respond (or not). The parable is effective because it takes an everyday situation (sowing) encountered by ordinary people and uses it to illustrate the possible of effect a less concrete event or issue. 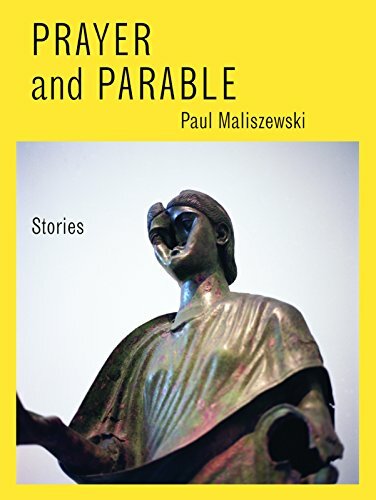 Mr. Maliszewski offers up 11 parables in this collection. On the surface, they are simple stories, often poignant; however, discerning their spiritual truths is challenging. The prayer issue is much more difficult to get a handle on. Dictionary definitions focus on some sort of communication with God or other spiritual being. Mr. Maliszewski obviously has another idea in mind. He quotes Simone Weil: “Attention, taken to its highest degree, is the same thing as prayer. It presupposes faith and love. Absolutely unmixed attention is prayer.” So there is no communication with some deity or spiritual being, but deeper interaction among people and more conscientious presence of mind. Some of the prayer stories are off-putting. In “Prayer for Something Seen But Briefly,” a father and his young daughter are camping. At the campground caretaker’s place, the father becomes convinced that the caretaker has exposed himself to the daughter. His confrontation with the caretaker is ultimately ineffective, and he can only go back to his tent and try to convince his daughter that everything is OK. Where is the prayer? Is the father hoping/praying that the reality that he suspects is all but a dream? Is he praying for his daughter’s continued innocence? If he had paid more attention to her whereabouts would the possibility of molestation not exist in the first place; is he praying for forgiveness? “Prayer for the Appearance of Something German” has a similarly surrealistic feel to it. A girl is teaching German to her boyfriend although she is not German and has never traveled to Germany. They are speaking German in a store in America when the clerk asks them “Are you from Germany?” They answer “Yes,” and he responds, “You had that whole different look about you.” And we are left hanging; these are indeed personal interactions, but where is the analogy to prayer? This is a puzzling and perplexing set of stories, but they have a certain charm about them. The challenge is to discern why they are called prayers or parables—and then to ponder what they are attempting to say to you.